Purpose: To learn what it takes to engage students in partnering to build and continually improve the classroom learning system. 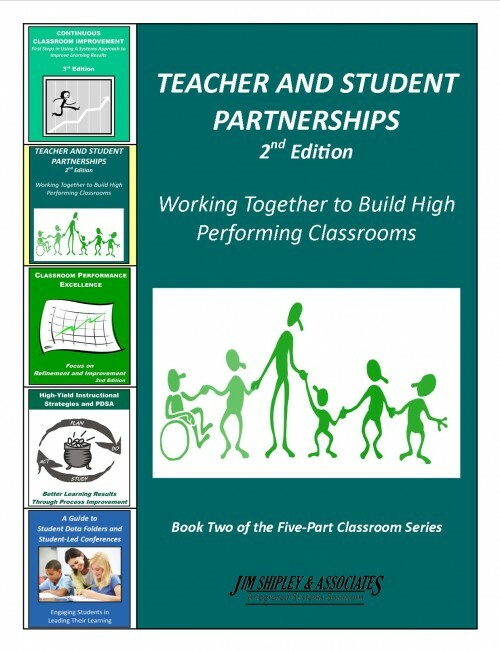 Understanding of the parts, connections, and practices that make up a high-performing classroom learning system. 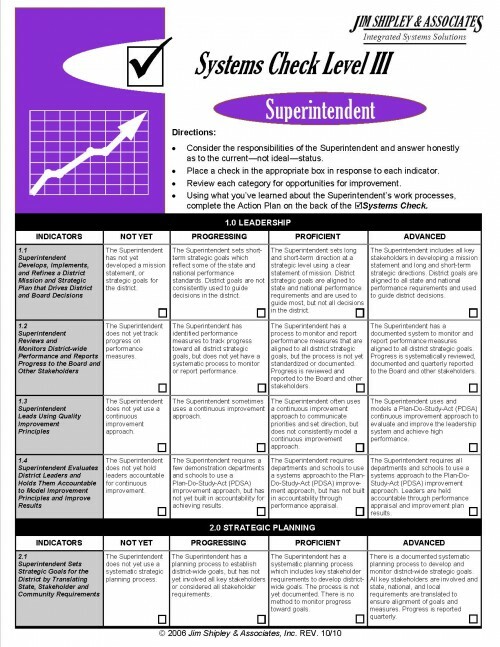 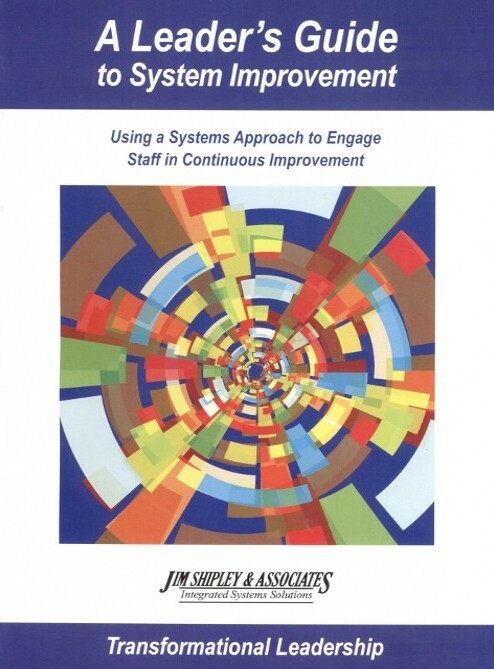 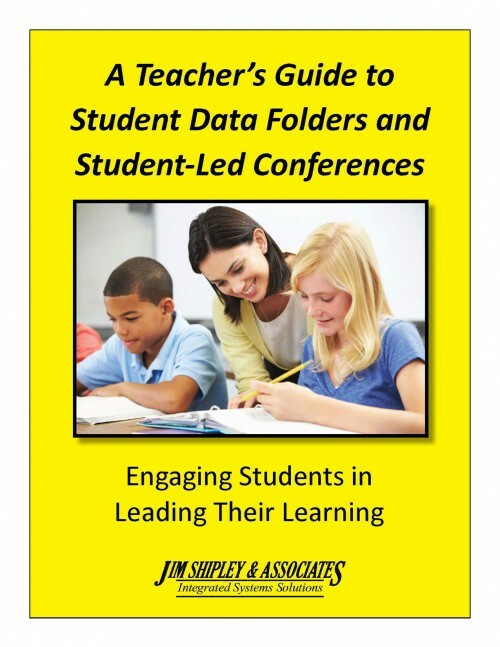 At least three ways to engage your students in managing and improving the classroom learning system─ student goal setting, student data systems, student action plans, use of process improvement tools, etc. 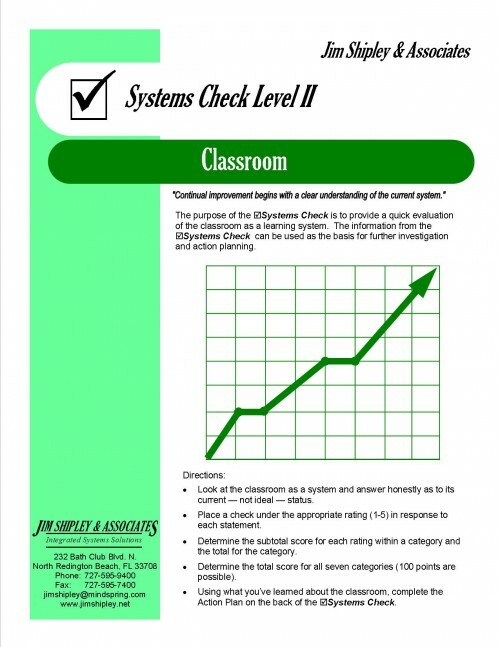 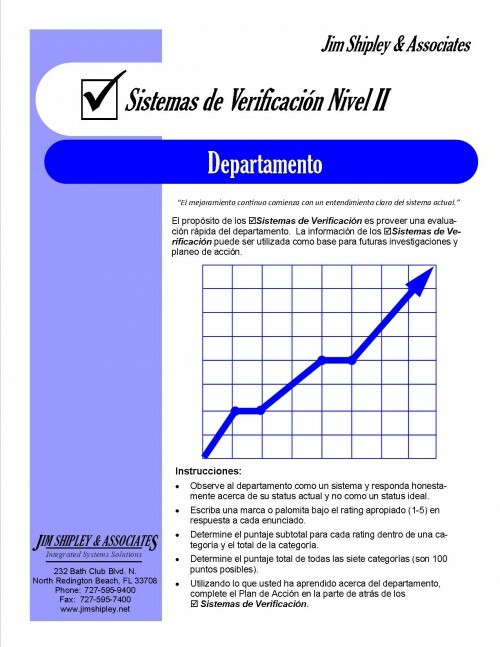 Baseline assessment of your classroom learning system using the Classroom Systems Check Level II and an analysis of the results as a basis for personal action planning. 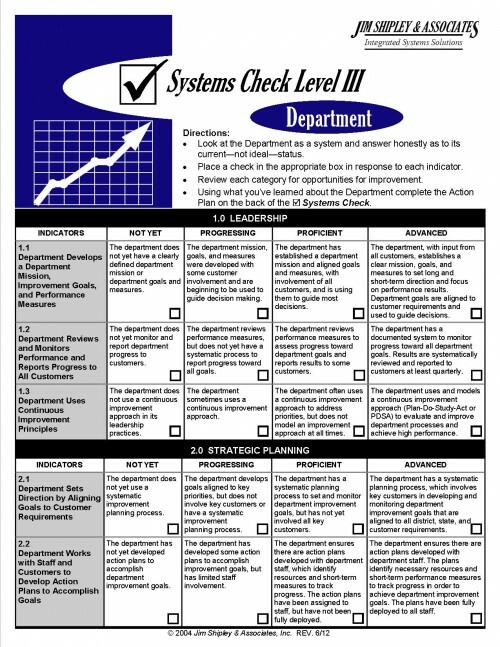 A guide for ongoing refinement and improvement of your classroom learning system using the JSA Classroom Learning System Walk-Through Guide and Formative Assessment.